Developing a publication process workflow for blogging books is of crucial importance when it comes to efficiently transforming numerous files into book form. 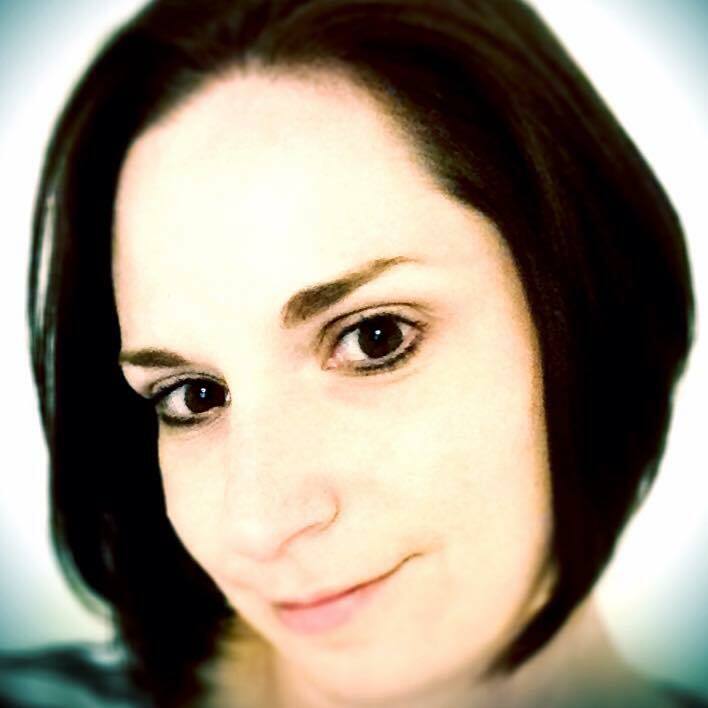 Like many bloggers, Susan began by blogging her passions and has refined her publication goals in the process. This post covers that journey, though the tips here will also be of benefit to bloggers who start their journey with a particular book in mind. When it comes to sourcing blog posts for book material, a blogger can end up with a ton of posts before realizing the possibilities of the wealth of information they have produced. Yet, just like writing a book in manuscript form, much of the material produced won’t be usable. Having more material than is needed versus not enough is a good spot to be in. 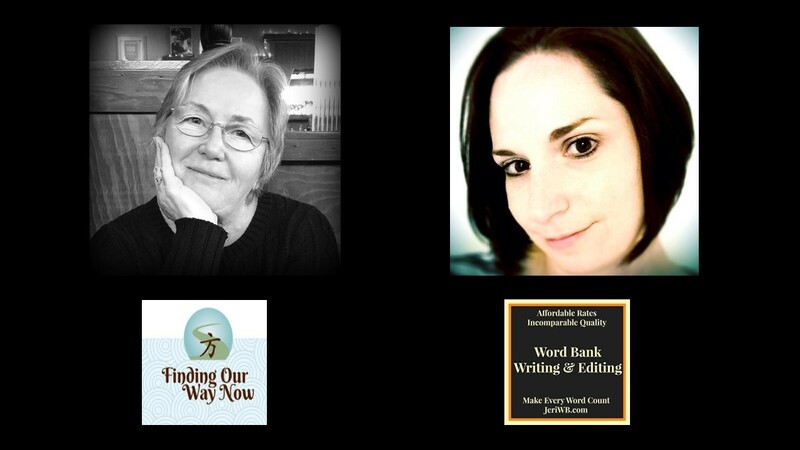 The most crucial part of developing a publication process workflow for blogging books is keeping track of the progress being made on many files. When I began copy editing individual recipe, wine review, vector-drawing, and life story files, Susan did not have a definite path in mind for what would become of her posts. This necessitated dealing with numerous files at a time that could later be compiled into manuscripts as needed. Exchanging files via e-mail quickly proved cumbersome, so we began storing them in a shared Dropbox folder. The system I devised started with an Original Files folder where Susan uploaded the unedited files. From there, I changed the names and saved them to my computer. Specific file names were crucial to keep track of various stages of the editing process. Once my copy edit was complete, I then saved it as two versions (one with tracked changes visible and one clean version) and uploaded it to the appropriate Recipe, Story, or Wine folder in our Dropbox. At first, I charged by the word, but as time went on Susan and I have negotiated an hourly fee that better reflects the wide range of tasks I complete for a predetermined number of hours each month. Our contract is revisited on a yearly basis. 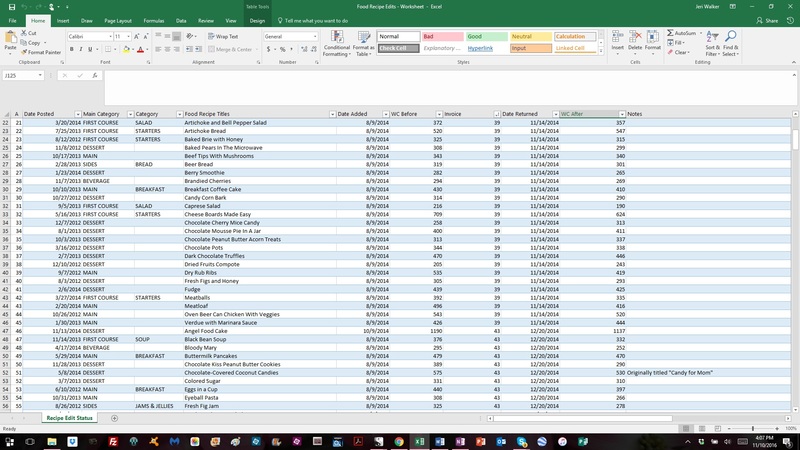 As more files were added into the mix, it became clear a spreadsheet was needed to ensure our publication process workflow for blogging books didn’t result in duplicate content added or overlooked files. We made use of two spreadsheets to keep track of the recipes and stories. Susan’s task was to fill out the first half of the columns in the spreadsheet, and after I was done editing, I would fill out the rest of the columns in the spreadsheet. It’s always easier and more efficient to work with compiled manuscripts over individual files. Up until a few months ago, Susan was having me edit blog posts as she posted them. She has since started compiling Word Documents of recipe booklets based on her blog posts. We have recently re-evaluated the usefulness of the spreadsheet. It’s a handy document for keeping tabs of each recipe at a glance. The word count and additional date columns have been deleted, and a column for Susan’s notes as well as a column for the name of the recipe booklet each recipe will be collecting within have been added. The next step in the publication process workflow for blogging books entails compiling files into a manuscript. Early on, Susan utilized a virtual assistant to help with this task. From there I would receive the compilation and do a final proofread before she passed the manuscript on to the services of a book formatter. Her expertise in drawing vector images and photography has enabled her to create her own book cover art and images. In time, it became clear we could further streamline the publication process workflow for blogging books by also having me format the print and e-book versions of Susan’s childhood stories. While I had gained some familiarity formatting .mobi files for upload to Amazon’s Kindle store, I was by no means an expert. Susan took the chance on me, knowing I was dependable and could learn the ropes. We decided to reformat her two prior publications before starting in on her next book of childhood stories. 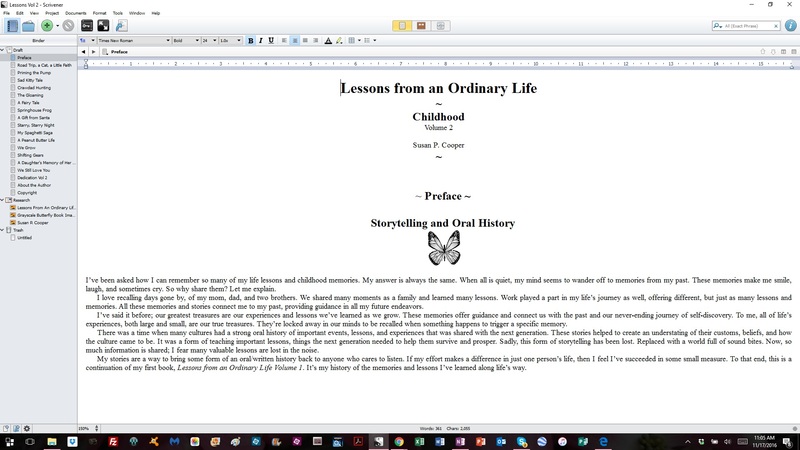 This entailed using Scrivener to create the .mobi file and a CreateSpace Word Template for the print version. Needless to say, great pains are taken to ensure the publications look as professional as possible and adhere to formatting standards for traditionally published books. One of the most important factors to consider in the publication process overflow for blogging books is whether the product is one that will sell and how much marketing time can be set aside to bring the books to the attention of the target audience. 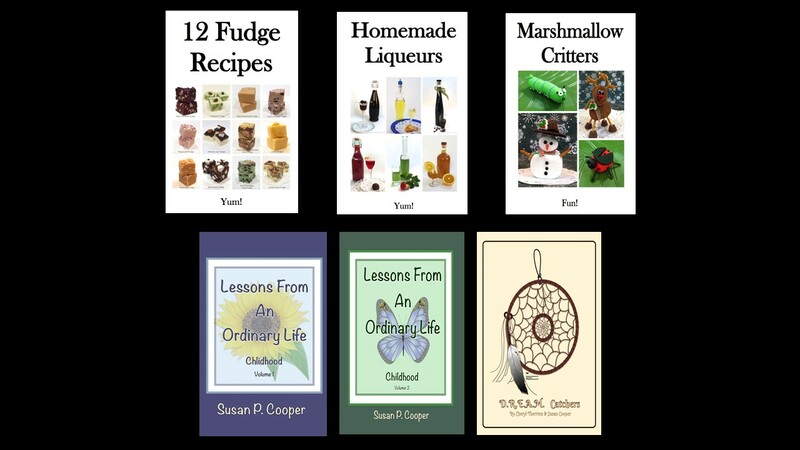 While Susan has enough material for five volumes in the Lessons from an Ordinary Life series that will be published on Amazon in the years to come, she has realized the greatest reader demand is for her easy and fun recipes. This has led to the recipe booklets that will be available on her website for purchase. At this point, Susan now compiles the recipe booklets and photos into a Word document. From there, I take the file through a three-step process. 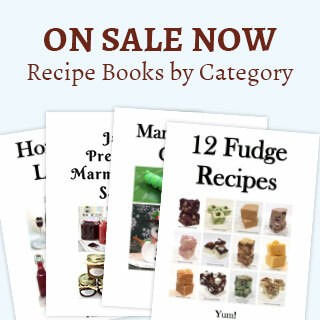 Many of the recipes have been previously copy edited, though some recipes are new additions. My first pass entails formatting the document according to the specifications I developed for the style sheet. The second pass involves a pass for content consistency and additional copy editing. The third pass involves a proofread. This pass typically includes the conversion from a Word Document to a pdf file. The full version of Adobe allows me to insert bookmarks for easier document navigation. I also add security settings that require a password for editing the text. Other security measures include not allowing copying of text and images, as well as setting the images at a low-resolution for printing. From there, the booklet gets passed off to Susan’s webmaster, who makes it available for purchase on her website. The style sheet is worth its weight in gold when it comes to the publication process workflow for blogging books. The more time Susan can take to implement the guidelines inevitably saves time on my end. Also, in the event I can no longer continue to assist Susan, the style sheet can be passed on to the person who takes my place. In short, the style sheet includes guidelines on trim and cover size, paper type, BISAC subject codes for book categories, publication keywords for metadata purposes, font styles and sizes for headers and body text, as well as specifications for recipe formatting and pdf security settings. In addition to the Dropbox folders already mentioned, the destination for the edited and formatted files on my end is the FOWN Publication Files folder. This folder contains subfolders named Books for Upload, Pamphlets for Download, PROMO Materials, and Publication Images. The process of saving and backing up files can get tricky at times, and I periodically double-check to ensure everything is up to date. While Susan’s webmaster takes care of making her recipe booklets available on her website, I handle the story publication to Amazon’s KDP store and CreateSpace. What questions might you have about this publication process overview for blogging books? Can you offer any suggestions, or how might this information help you start a similar process with your blog posts? Please share the images in this post responsibly. Jeri Walker, 2016.